Hi there! I am so excited about this new quilt I am about to show you today! 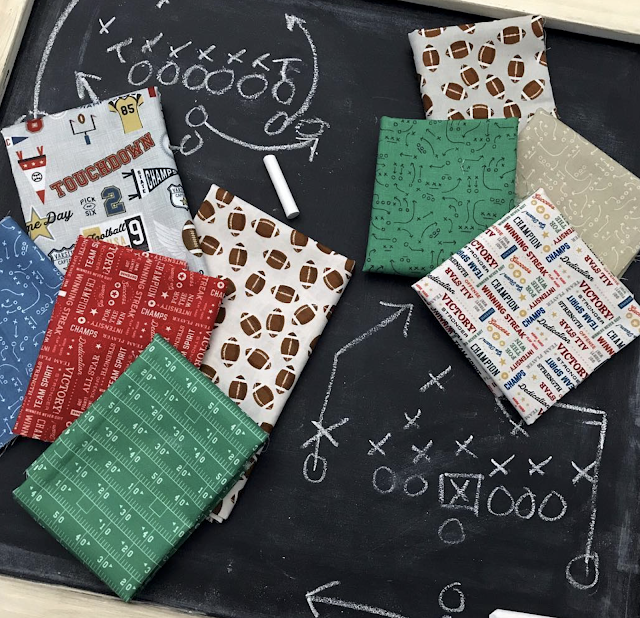 Varsity is an all new fabric collection by Deena Rutter for Riley Blake Designs! This collection is sooo great because it not only has football prints, it has volleyball, basketball and hockey! So there are so many options! I picked the football fabric because we are a football family around here! I wanted to showcase all the great prints in this collection, so I decided to use my Brickwork Pattern! 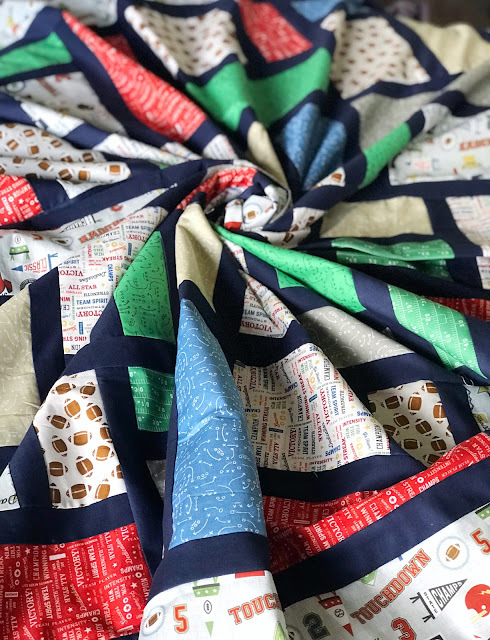 The great thing about this pattern is that it goes together super quick, and is a great pattern to show off all these fun prints in this fabric line! I really went out of my comfort zone on this quilt and used dark sashing! I have a tendency to always use a neutral background fabric in my quilts, but I thought it would make the fabrics pop if I used a navy fabric - and it did! I love how the sashing looks in this quilt! 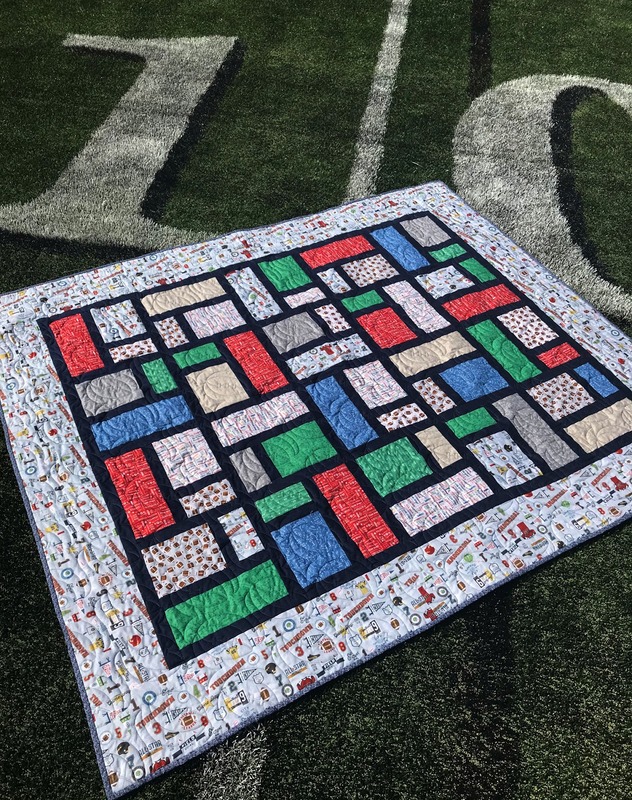 For the quilting, I did a really awesome football pattern! This pattern is so much fun and was absolutely perfect for this quilt! 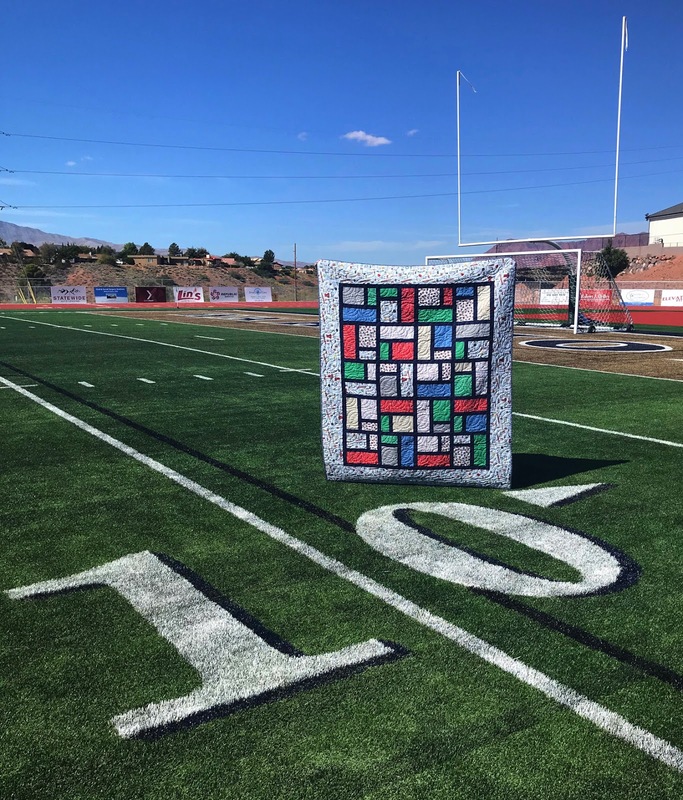 I took the quilt out to our local high school football stadium to get some fun shots of the quilt in the wild! 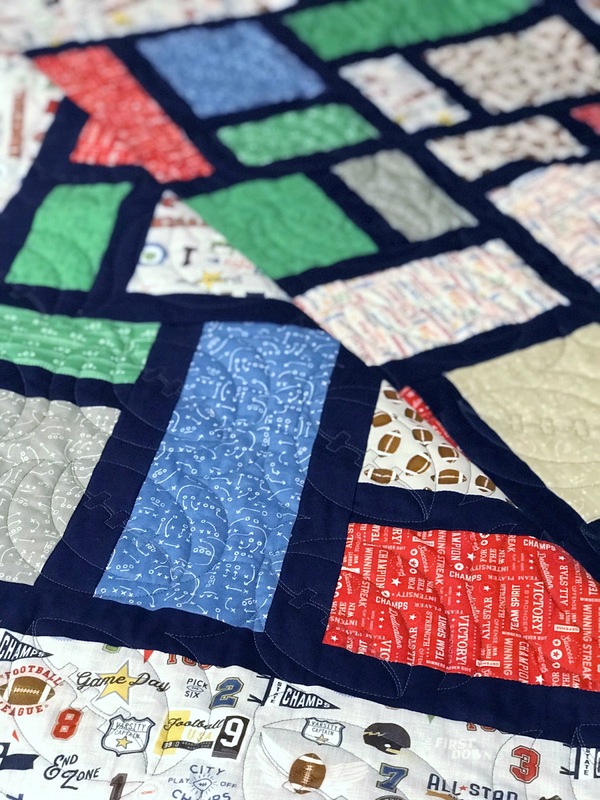 ;) This would be the perfect quilt to take with you to game day! :) We all know how it can get pretty chilly during football games - this would be the perfect quilt take with you to keep warm! I love this quilt sooo much! 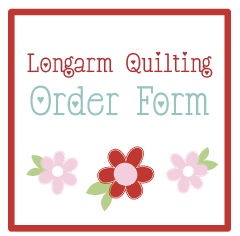 I hope you enjoy making one of these fun quilts! Be sure to visit the other stops on the Varsity Blog Tour for more inspiration!